Allyson Felix was born on November 18, 1985 in California. Nicknamed "Chicken Legs" for her lanky physique, Felix went out for the track team as a high school freshman. She excelled from the start, within a year finishing seventh in the 200-meter dash at the CIF California State Meet, eventually becoming a five-time winner. 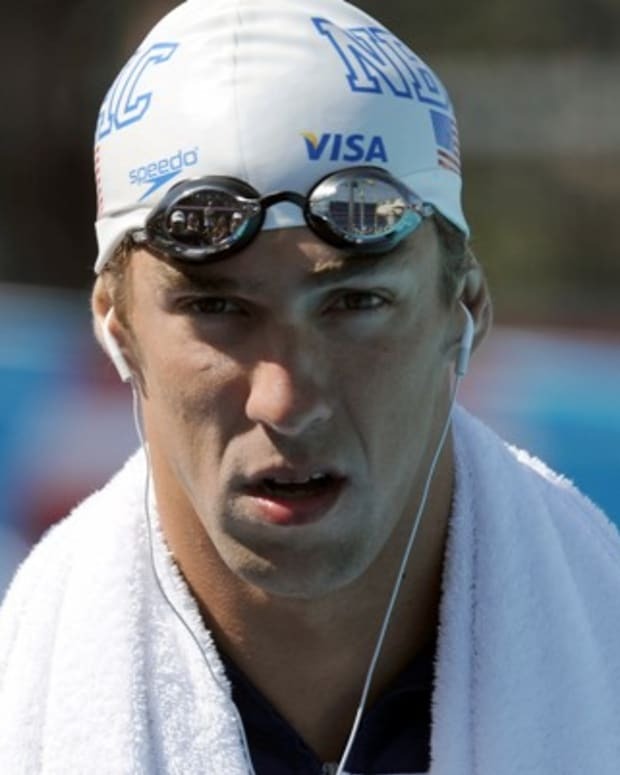 At the age of 18, Felix won a a silver medal at the 2004 Olympic Games in Athens. She went on to compete at the 2008, 2012 and 2016 Olympics, winning a total of nine medals, six gold and three silver. She is currently the most decorated woman in U.S. track and field history. 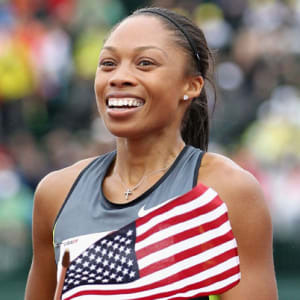 Olympic gold medalist and famed sprinter Allyson Felix was born on November 18, 1985 in Los Angeles, California. Felix was raised a devout Christian by her father, an ordained minister, and her mother, a local elementary school teacher. Her older brother, Wes Felix, is also a sprinter. Athletically gifted from a young age, Felix began playing basketball as a kid. She earned the nickname "Chicken Legs" for her lanky physique. In order to demonstrate her physical strength, the high school freshman went out for the track team. She excelled from the start, within a year finishing seventh in the 200-meter dash at the CIF California State Meet, and eventually becoming a five-time winner. In 2003, Track and Field News named Felix its national girls "High School Athlete of the Year." Soon after, as a high school senior, she finished second in the 200 at the U.S. Indoor Track & Field Championships. That same year, she made history in Mexico City, finishing the 200-meter race in 22.11 seconds, a new world record in the under-20 category. In 2003, Felix decided to forgo college eligibility and instead sign a professional contract with Adidas, who picked up her college tuition at the University of Southern California. At just 18 years old, Felix competed in her first Olympics, the 2004 Summer Games in Athens. Competing in the 200-meter race, she finished second, behind Jamaica&apos;s Veronica Campbell-Brown, and earned the silver medal. 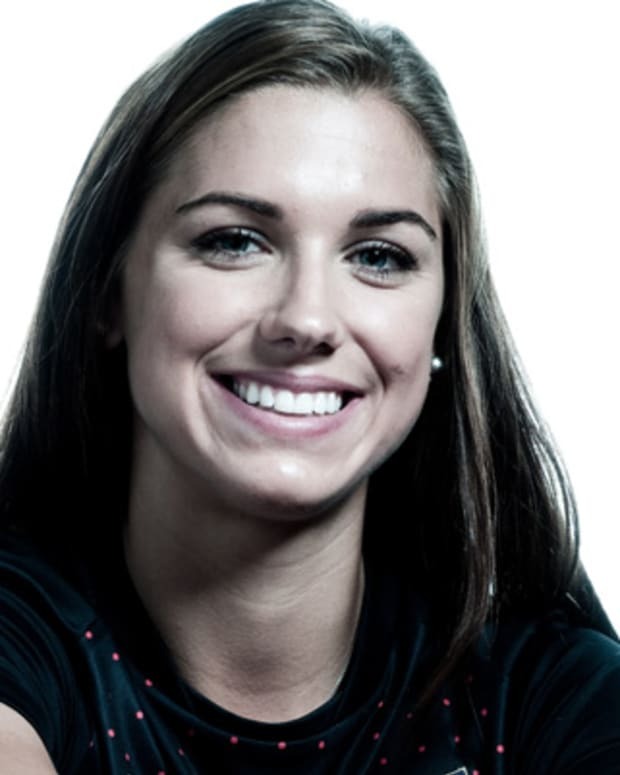 In 2005, she became the youngest champion to compete at the World Championships, and two years later, she became only the second female to win three gold medals at a single World Championships. 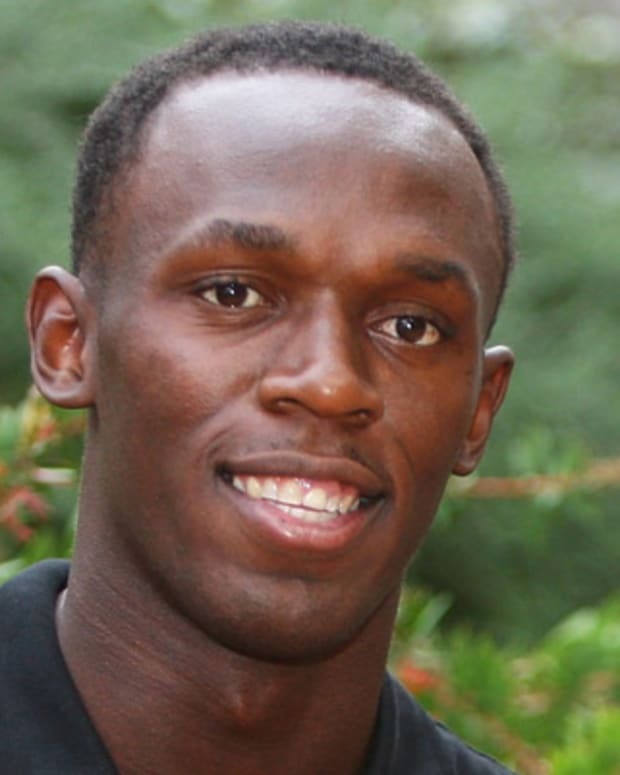 At the 2008 Olympic Games in Beijing, Felix ran a personal best of 21.93 in the 200 meters, but again finished behind Campbell-Brown, taking a second silver medal. She did, however, earn one gold medal that year, with the women&apos;s 4-by-400-meter relay team. At the 2012 Olympic Games in London, Felix won her first individual gold medal, beating out Shelly-Ann Fraser-Pryce and Carmelita Jeter in the 200-meter, respectively, with a time of 21.88 seconds. Her longtime rival, Veronica Campbell-Brown, finished fourth in the race. 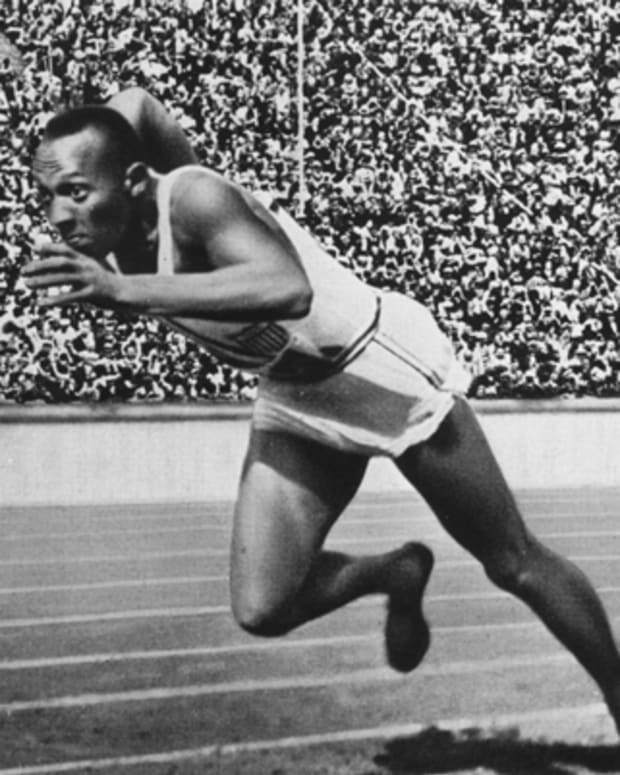 Felix went on to compete in the 4-by-100-meter relay, and, along with teammates Carmelita Jeter, Bianca Knight and Tianna Madison, won another gold medal. The relay team also set a new world record, with a time of 40.82 seconds (the previous record was 41.37 seconds, set in 1985 by East Germany. Felix won gold again in the 4-by-400-meter relay with teammates DeeDee Trotter, Francena McCorory, and Sanya Richards-Ross. Their winning time of 3:16.87 was the third fastest time in Olympic history. 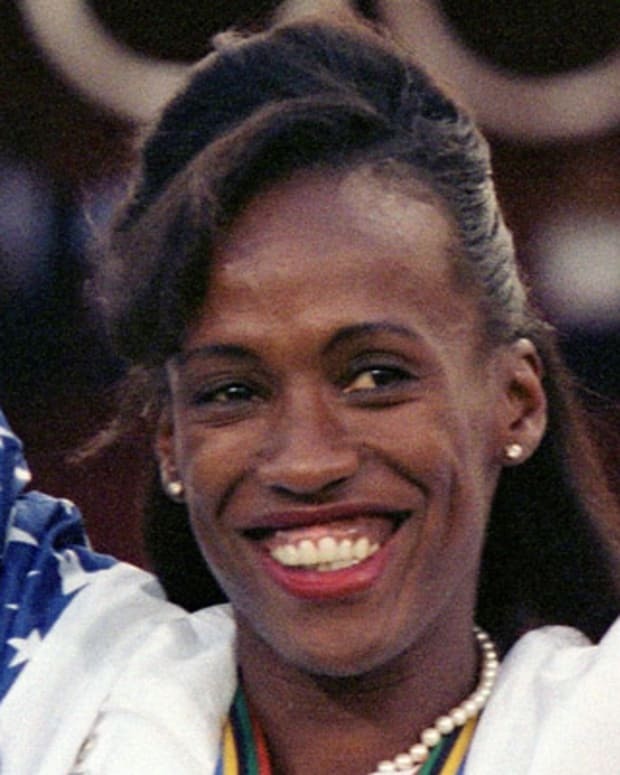 With her first-place victories in 2012, Felix became the first American woman to win three gold medals at an Olympics since Florence Griffith-Joyner at the 1988 Olympics. The second place finish was a bittersweet outcome for Felix, who had hoped for the gold. She finished just .07 seconds after Shaunae Miller of the Bahamas, who dove across the finish line to victory. "I gave it everything I had," Felix told reporters after the race. 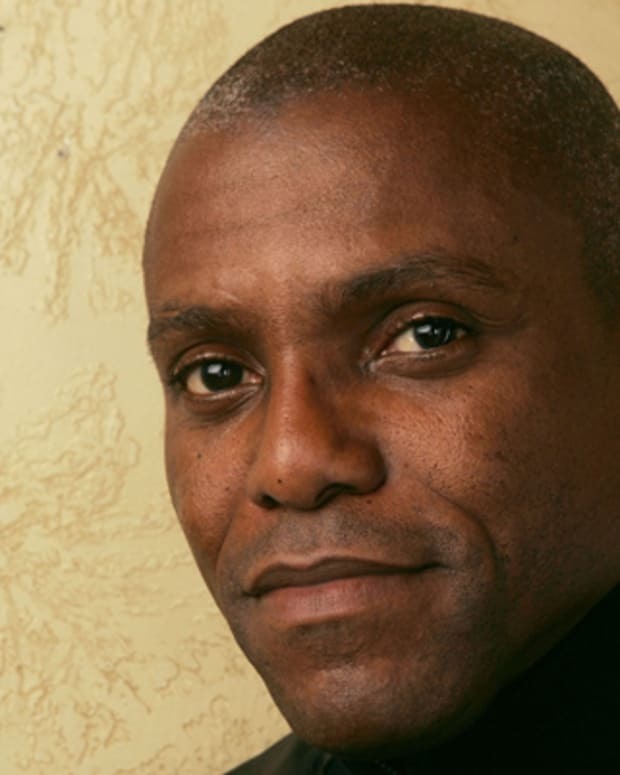 "It&apos;s deeply disappointing. I&apos;m a competitor." Felix put the disappointment behind her and finished the 2016 Olympics on top, winning two gold medals in the 4x100-meter relay and 4x400-meter relay, along with her U.S. teammates. With nine Olympics medals, six gold and one silver, Felix became the most decorated woman in U.S. track and field history. 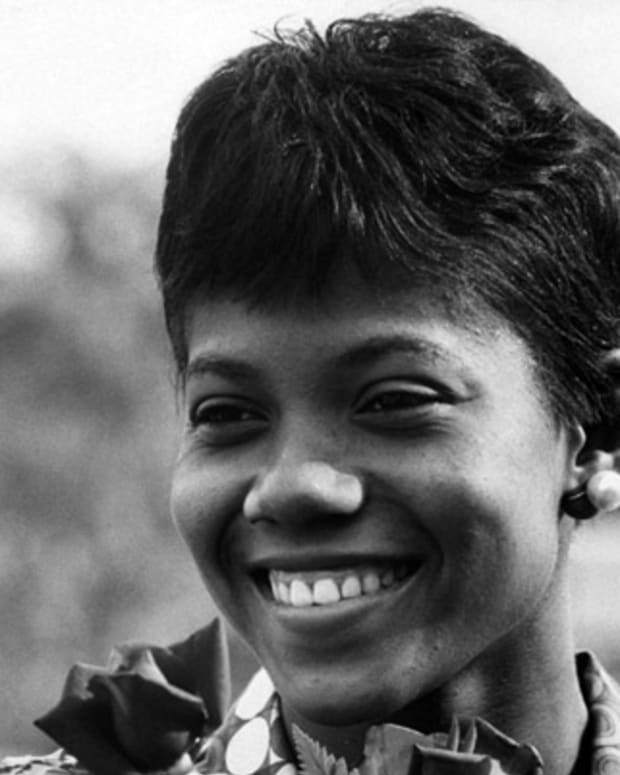 She tied Jamaican sprinter Merlene Ottey for the title of most decorated woman in Olympic track and field history.